Lying adjacent to Chandigarh, Mohali is a rapidly flourishing city that is located in the prosperous state of Punjab. 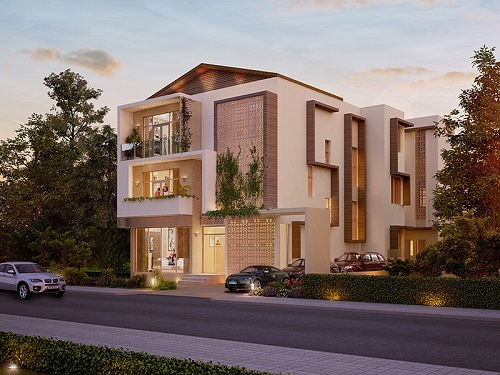 Owing to the number of advantages offered by this city, lot of people are choosing to invest in spacious 3 BHK flats in Mohali in order to set up a residence where they can stay with their whole family. Some of the key reasons why living in this city could be advantageous are as follows. · Planned City: Designed following the footsteps of the much affluent capital city of Punjab, Mohali is also a planned city that has been designed as per the sector format. Due to its planned designing and structure, this city is known to have a smooth transportation system, superior aesthetics and minimal slum areas. · Less populated: Mohali is comparatively much less populated than other major cities of North India, such as Delhi, Chandigarh and Gurgaon. And, less population in the city invariably means that there is lesser traffic congestion on the roads and more employment opportunities available for the people here. · Good Educational institutions Present: Mohali houses a plethora of extremely reputable educational institutions, especially the ones meant for higher education. This factor makes Mohali a good place to set up a home for families having children pursuing higher studies. · Clean City: Mohali is comparatively cleaner and greener, primarily because it is not as densely populated. Also, the government has taken very active measures in ensuring cleanliness in the city which has been duly complemented by the citizens here too, resulting in a cleaner and greener city. · Developing industrial scene: Mohali has witnessed rapid industrial and commercial development in the last few years, especially in its IT sector. In order to utilize the abundance of skilled resources present in the city, a number of IT and IT-enabled companies have set up their operations here. · Presence of Popular Cricket Stadium: In India, cricket is much more than just a sport. Major cricket tournaments are widely celebrated in all parts of the country. Mohali houses one of the most prominent cricket stadiums of the country, and hence its residents can get the opportunity to catch some of the key international level matches. Also, the influx of cricket enthusiasts in the city in great numbers at the time of important matches proves to be quite beneficial for certain businesses. Therefore, if you are looking for a 3 BHK flat in Mohali to move in with your whole family, it is imperative that you invest in a residence that is well-equipped with advanced security systems and offers a host of other modern amenities, in order to ensure the optimal safety and convenience of your family members.